It is not hard to solve problems; just pretend they don't exist. The longer we ignore them, they will just go away… right? A whole lot of us live in this way, and in many aspects of our lives. Even when there are negative consequences that finally catch up with us, we tend not to change our patterns of coping. We tend to repeat the maladaptive behavior over and over, wondering what is wrong. We say we will get to it tomorrow, or next month, or whenever, because now is just not the time; later would be better. We are not ready. In our heart of hearts we really, somehow, believe things will change for the better or the goals we have will be accomplished without having to do anything of substance to make it happen. We say we have good intentions. We say we are praying on it. We say a lot of things. We just don't do much. There is definitely nothing wrong with planning, praying, preparing, letting go, and living one day at a time. But, if nothing changes, then nothing changes. We want to be sensitive to areas in our lives that need our attention and then take appropriate action. Notice Albert Einstein's quote, "when we created them". Many of our concerns end up either being created by our own actions initially or by our refusal to act assertively to address them. Any move is better than no move. When I was learning to play racket ball, the friend who was teaching me was not very nice. Robert beat me routinely for a year. Finally, I got so frustrated (I am a bit competitive) that I told Robert that we should stop playing because I wasn't competition for him. I was right about that much. Then he says, "Your problem Rick is that you are trying not to make a mistake. You are spending time deciding on what to do, instead of doing it. You can correct the wrong move faster than you can decide on the right one." He was right, by the time I got finished thinking, the play was over and I was tossing the ball back to Robert. With time practicing what he had told me, I got better. I finally beat him…regularly. It was sweet! Identify an issue. Make a plan. Do it! Did you know Federal law requires "Baby Boomers" (folks born from 1945 to 1965) to be tested for Hepatitis C? I didn't, until recently. Why? Most baby boomers are believed to have been infected, if they lived during the 1970's and 1980's. It is estimated that close to 50% of people who were infected then, and are positive now for Hep C, don't know it. They have not been tested and still don't have any symptoms of the disease. Hep C can be dormant for all those years. Hepatitis C is spread through contact with contaminated blood from an infected person. Many baby boomers may have been infected prior to 1992, before universal precautions for handling blood and blood products were adopted. Others may have been infected from IV drug use, or snorting drugs. Over time, chronic Hep C can cause serious health problems including liver damage, cirrhosis, and liver cancer. 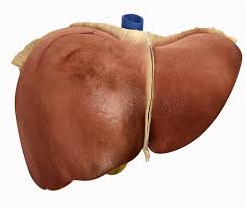 Hep C is the leading cause of liver cancer and transplants in the United States. There is hope! The newest of the Hep C medications is called Harvoni. It is very effective with most patients. There is a way to get the testing and treatment free. That's right free. Click to email to this address or call (512) 689-7088 to talk to a real person. "If we keep on doing what we've been doing, we'll keep on getting what we've been getting." This a picture of a healthy liver. If you have Hepatitis, a history of IV drug use, a history of abusing pain pills, or a history of abusing alcohol, your liver may not look this good. The only way to know for sure is with lab testing and possibly a liver biopsy. Early diagnosis is important. Please see your counselor to talk about your options for testing and treatment. You may be a person who has either heard about the older generation of treatments or been treated with those medications. If so, you may have a negative outlook on testing and treatment. Here is the good news: The newer medications being used now have much less of the negative side effects. The newer medications have a much greater "cure rate". Check it out.